The Shrek franchise, DreamWorks Animation's biggest moneymaker since 2001, may return to theaters soon following DWA's acquisition by Comcast. That's according to NBCUniversal chief Steve Burke, who is quoted by Deadline as saying that he hopes to increase the animation studio's output to as many as four films a year. He told investors that the hope is to create franchises that will take low-margin feature films and turn them into more profitable ventures like merchandise, theme park attractions, and the like. 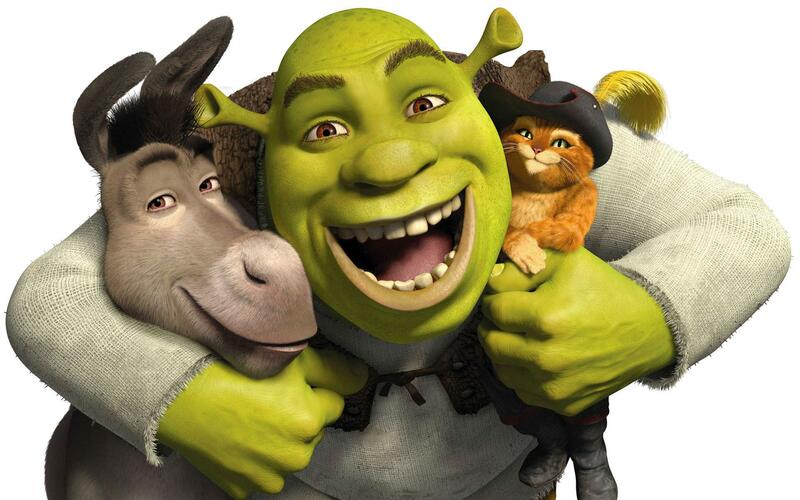 Based on William Steig's picture book Shrek!, the franchise launched in 2001 and consists of four Shrek feature films, a pair of Puss in Boots spinoffs, and numerous short movies and holiday specials made for TV and home video. It's not clear how or whether the second Puss in Boots film, not yet released, will be affected. In January 2015, Puss in Boots 2: Nine Lives & 40 Thieves was removed from the release schedule, following corporate restructuring, and DreamWorks Animation's new policy to release two films a year. Comcast paid $3.8 billion for DWA, but Burke hopes that it will not take long to turn a profit. Deadline quotes him as saying that the acquisition moves up Comcast's consumer products agenda by five years. With Austin Powers 4 in development, it seems likely that franchise star Mike Myers would be open to revisiting one of his best-known roles from the recent past. Eddie Murphy is always trying to do the same, putting a Beverly Hills Cop TV series into development two years ago and then working on a fourth feature film when the TV series failed to launch. Co-stars John Lithgow and Cameron Diaz are somewhat busier than the others, but given the fact that their roles tend to be smaller than the others, they could likely squeeze it into their schedules. Shrek is the 12th highest-grossing franchise of all time, and the highest-grossing animated franchise.